Author Biography Laura Hughes is an exciting young London-based illustrator. Originally from Bath, she studied illustration at Kingston University and, since graduating, she has created artwork for children's books, cards, stationery and homewares. We're Going on an Egg Hunt is Laura's first book for Bloomsbury. As described, arrived quickly. Thanks very much! As described, good quality and quick delivery! 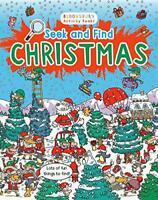 Nice book, great illustrations, the book has peek-a-boo flaps where you have to find Easter eggs. Lovely Easter book in the style of We’re Going in a Bear Hunt. Count the Easter eggs and lift the flaps. Very good quality and a quick service.